Digitised embroidery meets my soldering iron technique. 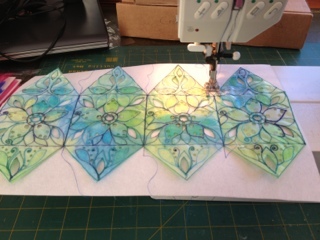 A day workshop running at Coles Sewing Centre, Nottingham on Friday 2nd March. 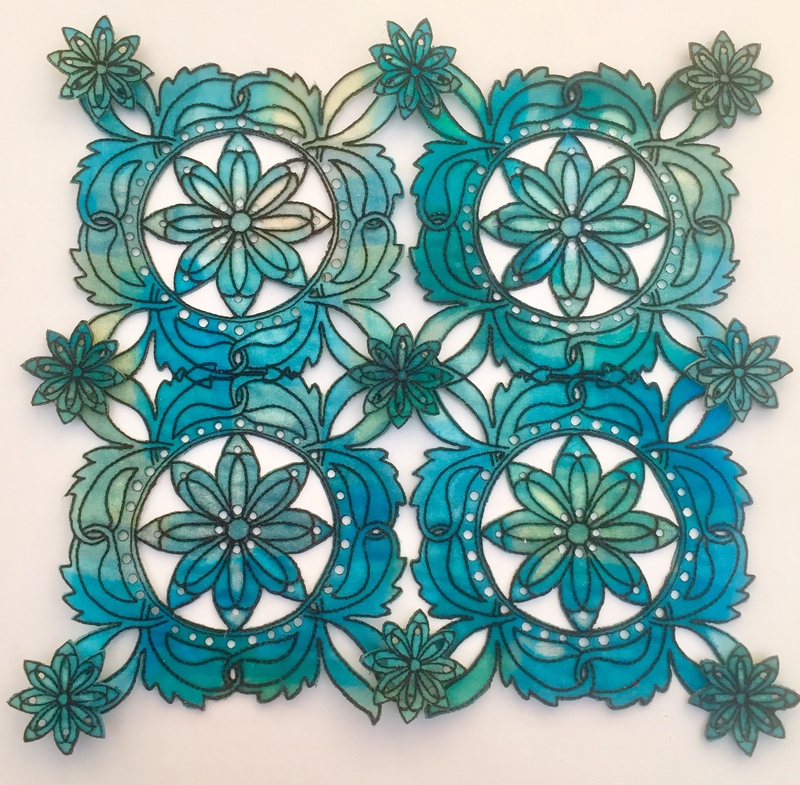 We will be loading and stitching out the elements required to make this layered panel with dimensional flowers. 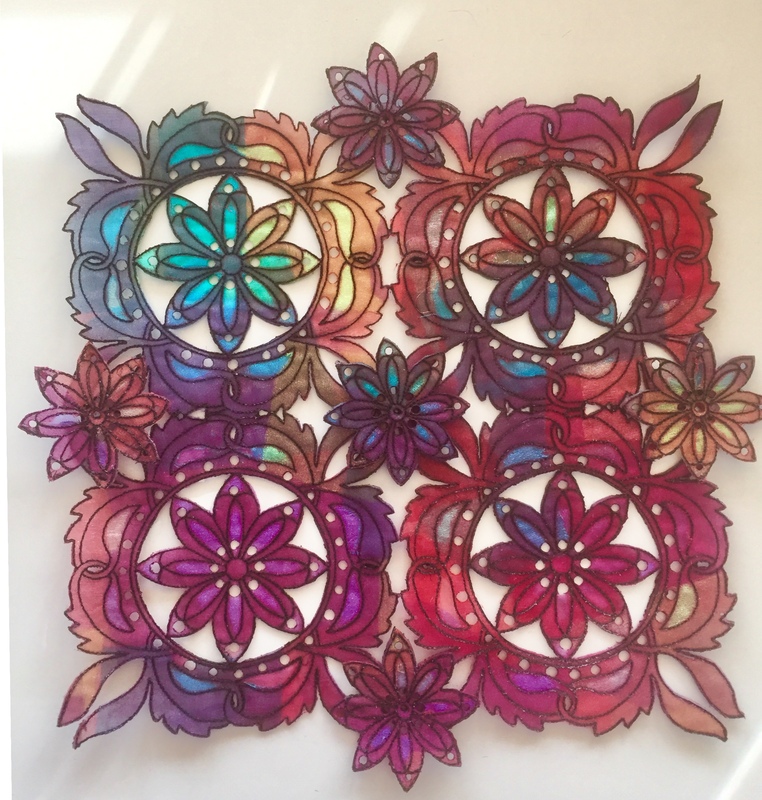 We will be removing layers to let other colours come through and then using a soldering iron to cut them out and put them together to make this beautiful see through flower panel. 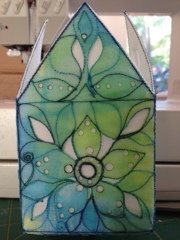 This entry was posted in Husqvarna, Organza on 16th January 2018 by Kathleen. 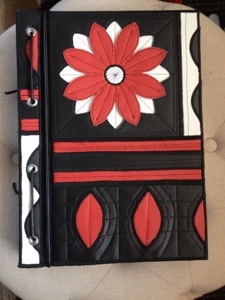 I love working in leather nowadays and am getting some really fab results using Husqvarna cut work needles in a free form Kathy way. 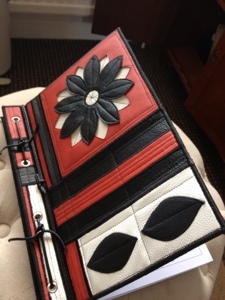 I made this leather journal for my niece Sarah who just had her birthday. Prior to this I had made her mum a book and Sarah had asked for one for her school notes ad appointments. It only took me another year ha ha to squeeze her into my hectic schedule but we got there in the end and I was so pleased with the end result . 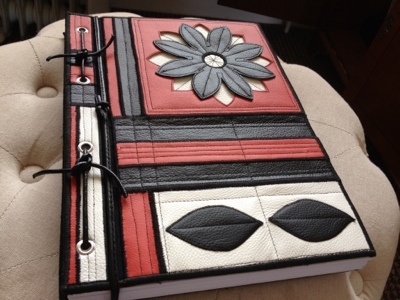 I now have a yearning to make myself one in black green and cream as I have been hanging on to the most amazing piece of lime green leather for several years now and not knowing when or if I would use it. Now I know exactly what to do with it. I just need the time which isn’t happening at the moment with Alexandra Palace starring me in the face. Oh well watch this space you never know. 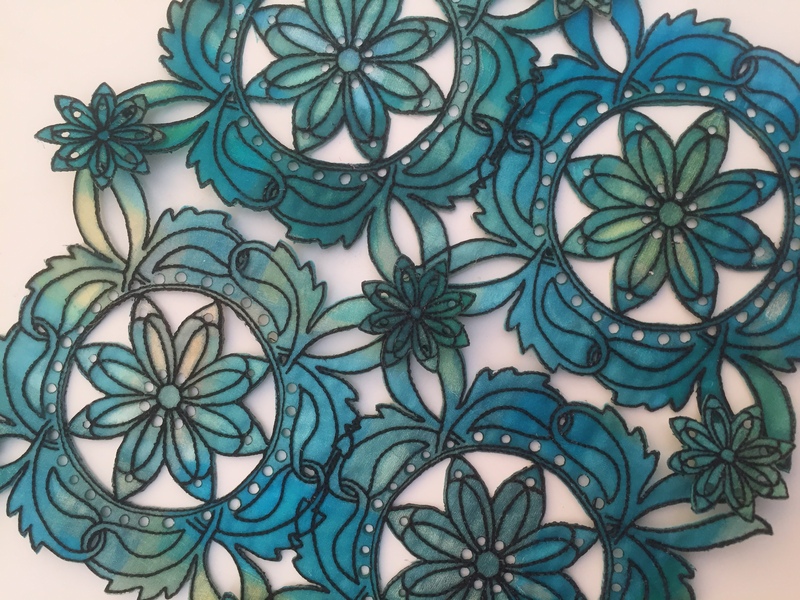 This entry was posted in Cutwork, Cutwork needles, Family, Husqvarna, Leather, Uncategorised on 7th September 2013 by Kathleen. Today I felt motivated to get my act together and sort out my Lutradur workshop coming up at Husqvarna Studio, Nottingham. Next problem is how to send it in the mail but that can wait till tomorrow. 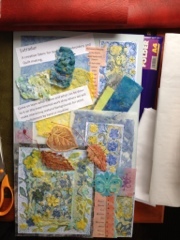 This entry was posted in Husqvarna, Lutradur, Uncategorised on 26th February 2013 by Kathleen. I made theses boxes as a cut work needle project for Husqvarna but have since realised they work beautifully with my organza and soldering iron technique if not better. They’re only a prototype at the moment but if I can sort everything out with assembly and decoration they will become a new kit for Alexandra Palace next week . I hear myself say “no pressure then” ha ha! 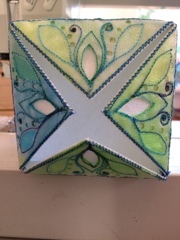 This entry was posted in Husqvarna, Lantern Boxes, Organza, Uncategorised on 6th October 2012 by Kathleen.